This is a brand new food item (the rest I did here were older). 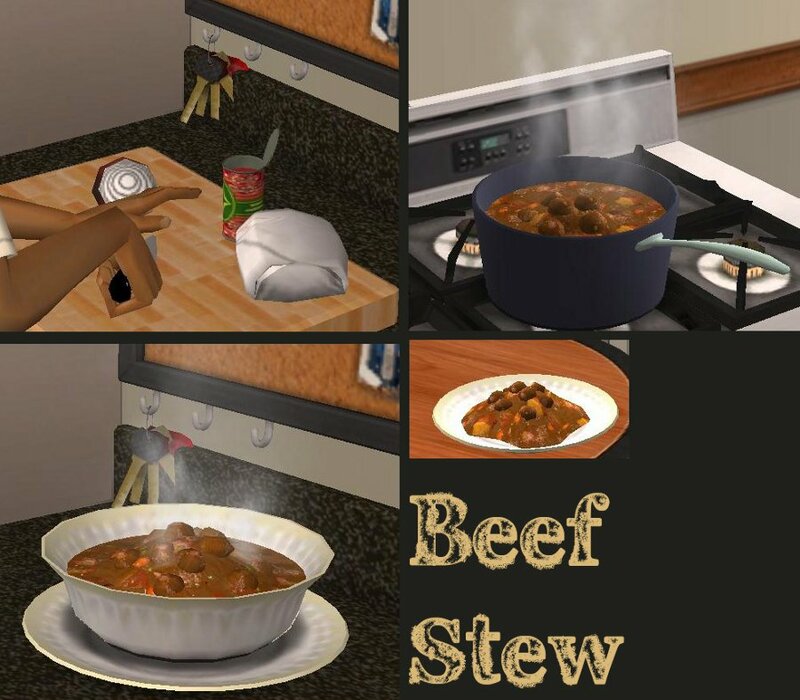 It's beef stew available for all three meals. 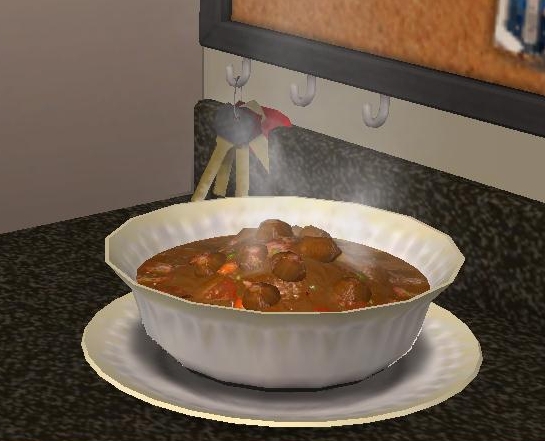 It's cloned from spaghetti, with a few changes to the meshes like a serving bowl instead of platter, and no cheese or pasta box in the preparation stage. Enjoy! You *are* on a roll, aren't you? Nice job once again! Not to toot my own horn but I'm the guy who suggested the beef stew and the macaroni salad on TNW site. I posted a small list of suggestions actually and am more than surprised it ended up on Leefish lol. My Sims have a lot of new food to check out! Awesome! More foods! Thanks Jon.